It is two years to the day since a giant digger got stuck in the sea off the coast of Worthing during work on the Rampion Offshore Wind Farm. We look back at the long and heart-warming tale of how the people of a seaside town found space in their hearts for 'Moby Dig', and how it was finally liberated. On April 4, 2017, a digger used for work on the Rampion Offshore Wind Farm was spotted underwater off the coast of Worthing. I should imagine it got stuck, said onlooker Andrew Sharp, who has been following the construction closely from his nearby home in Western Road. 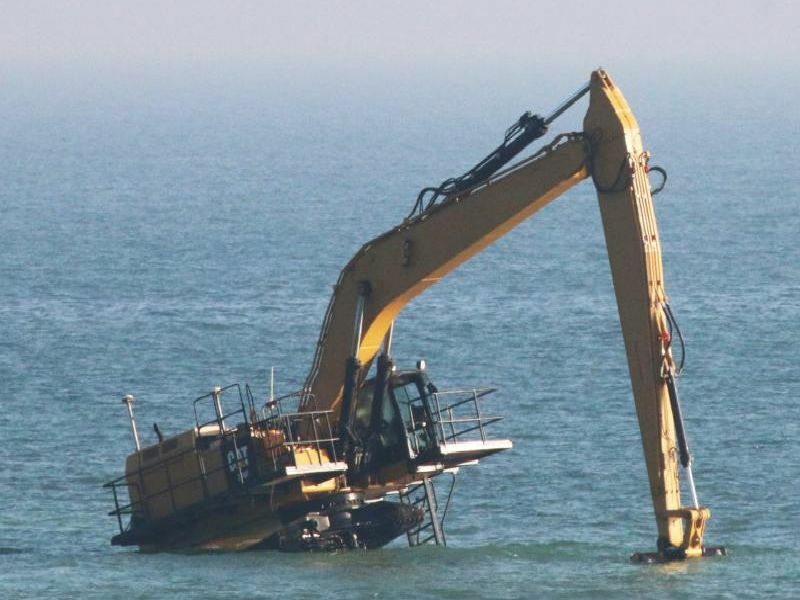 The digger is specially designed to drive in the sea, while keeping its driver cabin elevated above the waves, but something appeared to have gone wrong. A spokesperson for the Rampion Offshore Wind Farm said: We can confirm that the elevator excavator is currently immobilised and the operating personnel are safely back onshore. For safety reasons a guard vessel is on site and buoys have been placed around the excavator. We are awaiting the next low tide to seek to move the vehicle. One day later and the digger as this point still unnamed has started to draw a lot of interest from residents and beach walkers. In an update Rampion said they were still investigating how it became stuck but hoped to get the digger out at low tide later that day.